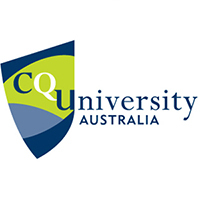 At CQUniversity you can be what you want to be. We’re Australia’s largest regional University with more than 200 national locations offering hundreds of TAFE and university courses available to study online or on campus. Our commitment to student success and access to services and support manes that no matter your background, postcode, lifestyle or study preference we can help you achieve your dreams through training and education. At CQ university you’ll enjoy lots of benefits, like world class training and the opportunity for career advancement.